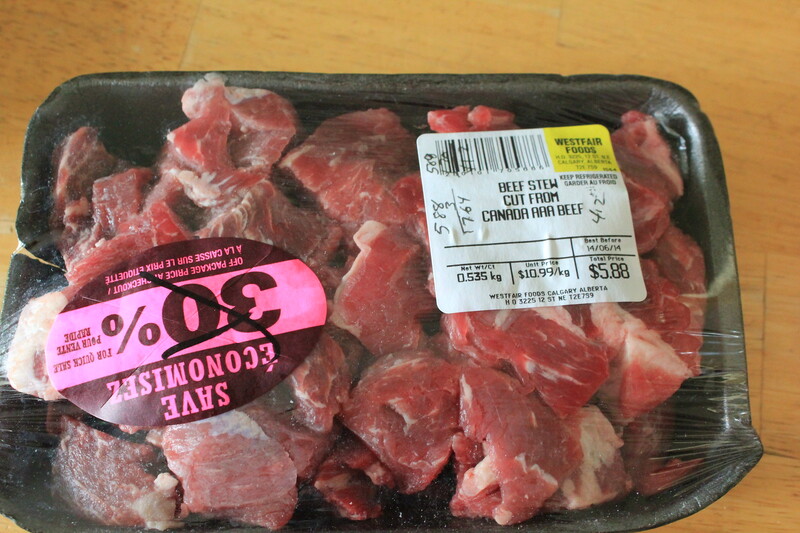 I have been having good success with getting discounted stew beef at Superstore! I usually make stew or ATK beef stroganoff with it. 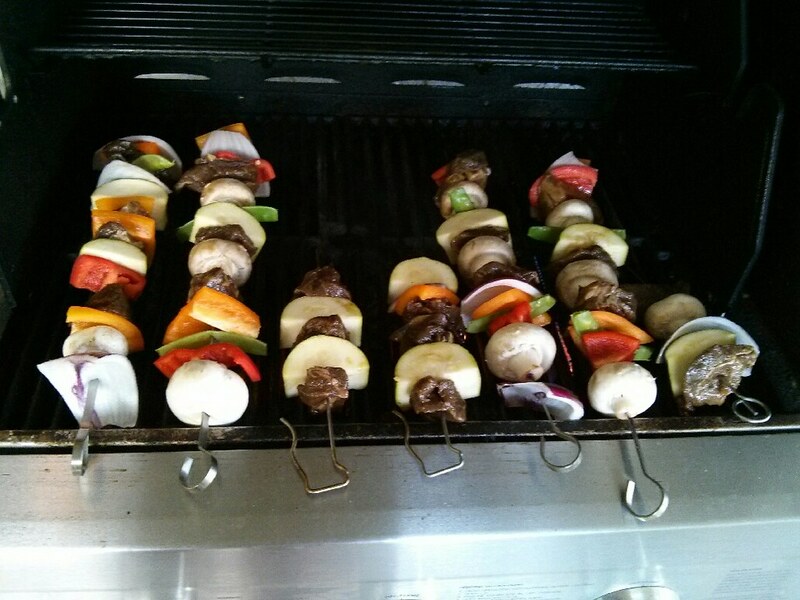 I decided to see if I could make some beef kabobs. The trick is to marinate the stew beef for at least a full day, 2 if you can. The marinade and the stew beef all go into a Ziploc bag which you can give a little massaging every time you go into your fridge. That's it! After it's done marinating just add your favorite things to skewers and BBQ. They only take a few minutes on each side. I used mushrooms, red onion, peppers and zucchini. They are so yummy! Summer food! Trade in Your Air miles for Groceries!